A few days ago on May 22nd 2010, Pacman celebrated its 30th anniversary. The Pacman game has stood the test of time and on its 30th birthday Google decided to honour it by turning the Google logo into a playable Pacman game. Google has since removed the game from their homepage (although it was kept up there for an extra 48 hours). Don’t worry if you missed it, you can actually still play the Google Pacman game thanks to Paul Macek and a few other enthusiastic developers. Great work guys! Edit 07.07.2010: Google has also made the Pacman game available. I don’t know anyone who hasn’t heard of Pacman and it is amazing to think that such a simple game could still be entertaining people of all ages 30 years down the track. The game was originally invented by a Japanese inventor and called “Puck Man”, he named it after the sound of opening and closing one’s mouth. 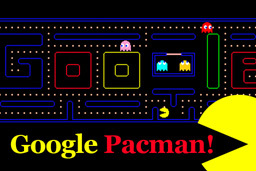 Google’s Pacman Doodle was a great idea and a nice way to honor the Pacman legend. One of the Google staff involved in creating this interactive Google Doodle, Ryan Germick, “thought it would be awesome”. 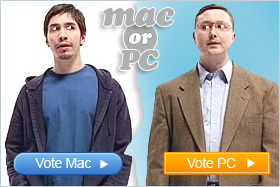 I think we all agree. The Google Pacman game is a fully-playable version complete with 255 levels and authentic sound effects. It’s easy to play using the arrow keys. Just click on “Insert Coins” to get started. You can even click on “Insert Coins” twice to play with 2 players. Player 2 can use the W, S, A and D keys for Up, Down, Left and Right respectively. I wonder if anyone has actually finished all 255 levels yet? Play the Google Pacman Game Now!